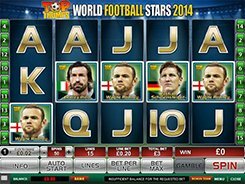 Football fans like Top Trumps World Football Stars as the slot puts them in mind of the captivating sport game. 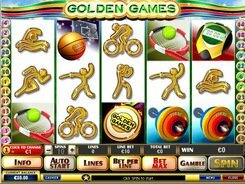 The slot consists of 15 paylines and five reels. 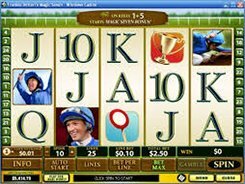 The coin denomination is adjusted from $0.01 to $5 to suit your betting style. The maximum coin wager per spin is 750. 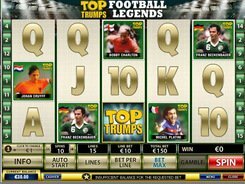 The top jackpot awarded figures up to 10,000 coins. A wild symbol will help you complete a winning combination. The Top Trumps logo being a scatter pays out your stake times x1 to x125 your total bet depending on the number of Top Trumps logos that have landed on the reels. 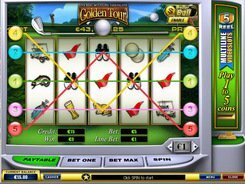 Before every spin you can pick a football team to feature on the reels, with half teams paying left to right, and the other half paying out right to left. 12 free games are triggered when the Free Games flag drops on reels 1 and 5 simultaneously. The bonus ball appearing on reels 2 and 4 at a time starts the Pass the Ball bonus. You get the chance to win 3 times your current wager per spin. PLAY FOR REAL MONEY!